How to do it: Spray a generous amount of WD-40 onto the lipstick stains. Let it sit for a few minutes and throw it in the washing machine. Why this works: WD-40 contains Stoddard Solvent (also called White spirit) which works to dissolve oil and grease. 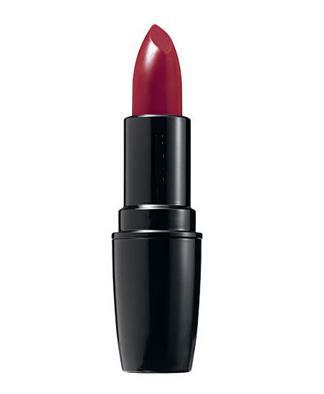 As lipstick is oil-based, lipstick stains need to be treated with more than just soap and water. Heavy-duty cleaners, like Lestoil, will also remove lipstick stains as it contains the same Stoddard Solvent ingredient as WD-40. The only thing I’m wondering about is whether or not you have to put a stain remover on the WD-40, because isn’t it black? Awesome article. I twice came home in the last year with lipstick on my shirt. Both times my wife managed to see it and flip out. This information will definitely help me out. Dab stain very lightly with denatured alcohol using a soft, white cloth. Concise and very useful tip. I will sure try out the WD-40 and also use the alcohol as suggested by jrasheshsateesh. I hate lipstick marks in particular on white fabrics. Alcohol may work at some extent, but you may also try lemon juice, as it contains citric acid which can desolve oil, I haven’t tried it, but I remember I’ve seen something similar in TV. As a make-up artist, sometimes even I get a little lipstick on my clothes and it’s very annoying. Therefore, thanks a lot for this tip! Not sure if I can find WD 40 in NL, but it’s worth searching. A neighbor swore by hair spray in the aerosol can for removing lipstick stains. It also removes ball-point pen stains on painted surfaces.